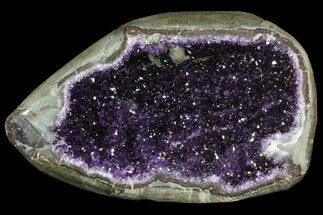 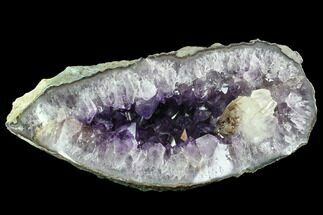 This is a large beautiful, purple amethyst geode from the famous mines near Artigas, Uruguay. 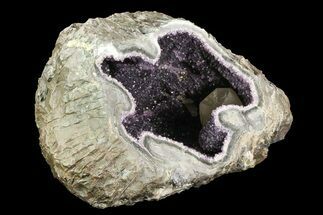 It is 8" wide, 5.5" deep, 9" tall and weighs about 15 lbs. 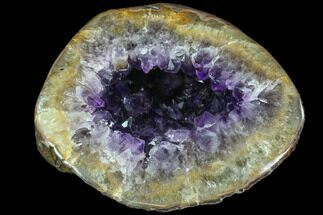 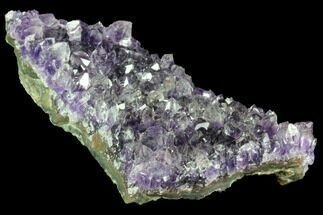 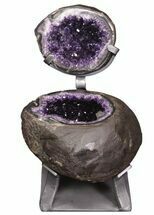 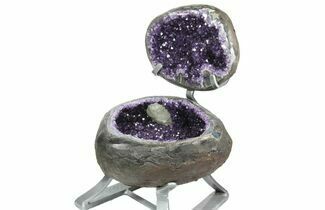 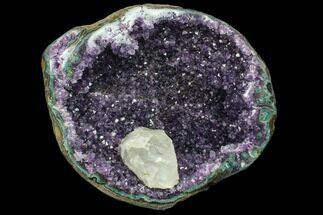 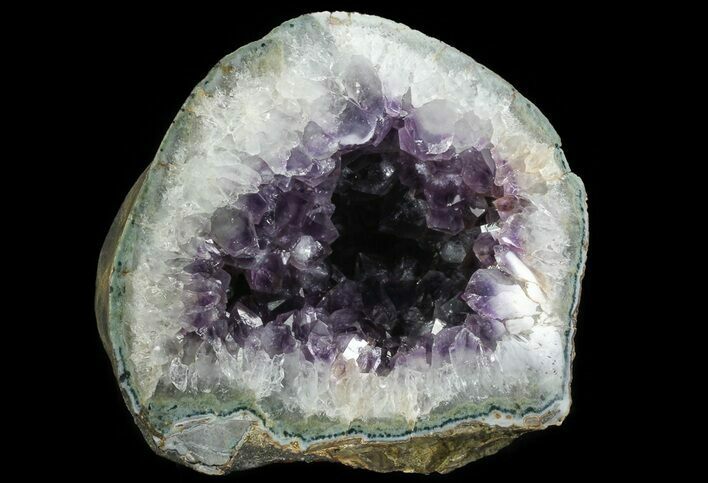 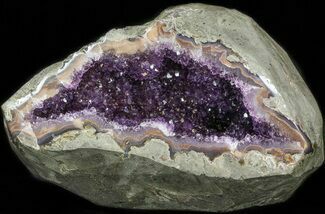 It's filled with large sparkling, purple amethyst crystals and displays well on a flat surface.